<--- GET A FREE HONDA S2000 ENGINE PRICE QUOTE! [caption id="" align="aligncenter" width="736"] Unlike some of the other movie cars, the pink S2000 is actually engineered to deliver an enhanced on-road performance[/caption] The action-packed â€œ2 Fast 2 Furiousâ€� is definitely one of the most exciting car movies ever. Car enthusiasts had the treat of watching their favorite high-performance machines in action. Although the film featured plenty of exhilarating rides, one of the most intriguing cars was definitely the customized pink Honda S2000. Even today, the head-turning sports car still draws stares of admiration. 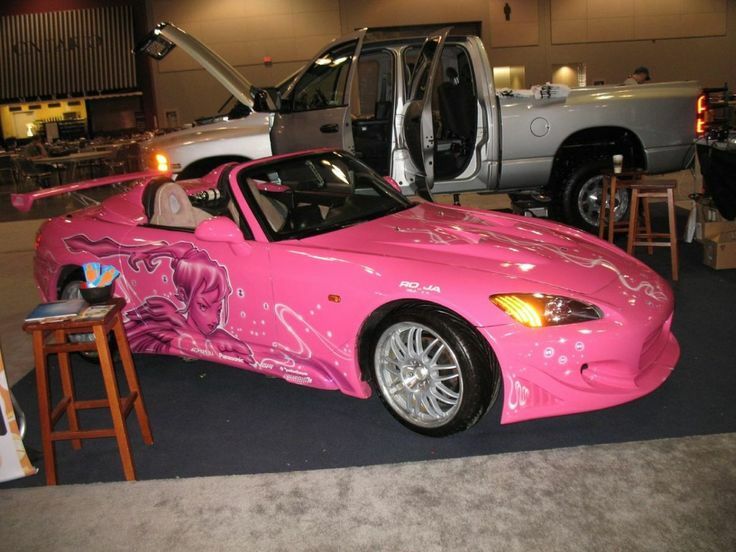 At first glance, the pink Honda S2000 makes a bold statement with its specialized ground effects and artistic paint job. The unique shade of pink helps to differentiate this S2000 from any other tuner car roaming the street. Unlike some of the other movie cars, the pink S2000 is actually engineered to deliver an enhanced on-road performance. Although the internal components of the engine remain the same, the pink S2000 has been outfitted with a potent Paxton supercharger. The addition of the supercharger effectively boosts the power output from 240 horsepower to a massive 340 horsepower. For car enthusiasts that are seeking to replicate the pink S2000, there are plenty of high-performance used engines available. Most Honda engines are interchangeable, so a more potent motor can be easily swapped into the S2000. Our engine database here at southwestengines has many Honda motors that can be modified. With the addition of a jazzy paint job and a customized set of wheels, you can transform your own S2000 into a vehicle that is worthy of a movie role. [caption id="" align="aligncenter" width="736"] Unlike some of the other movie cars, the pink S2000 is actually engineered to deliver an enhanced on-road performance[/caption] The action-packed â€œ2 Fast 2 Furiousâ€� is definitely one of the most exciting car movies ever. Car enthusiasts had the treat of watching their favorite high-performance machines in action. Although the film featured plenty of exhilarating rides, one of the most intriguing cars was definitely the customized pink Honda S2000. Even today, the head-turning sports car still draws stares of admiration. At first glance, the pink Honda S2000 makes a bold statement with its specialized ground effects and artistic paint job. The unique shade of pink helps to differentiate this S2000 from any other tuner car roaming the street. Unlike some of the other movie cars, the pink S2000 is actually engineered to deliver an enhanced on-road performance. Although the internal components of the engine remain the same, the pink S2000 has been outfitted with a potent Paxton supercharger. The addition of the supercharger effectively boosts the power output from 240 horsepower to a massive 340 horsepower. For car enthusiasts that are seeking to replicate the pink S2000, there are plenty of high-performance used engines available. Most Honda engines are interchangeable, so a more potent motor can be easily swapped into the S2000. Our engine database here at southwestengines has many Honda motors that can be modified. With the addition of a jazzy paint job and a customized set of wheels, you can transform your own S2000 into a vehicle that is worthy of a movie role.